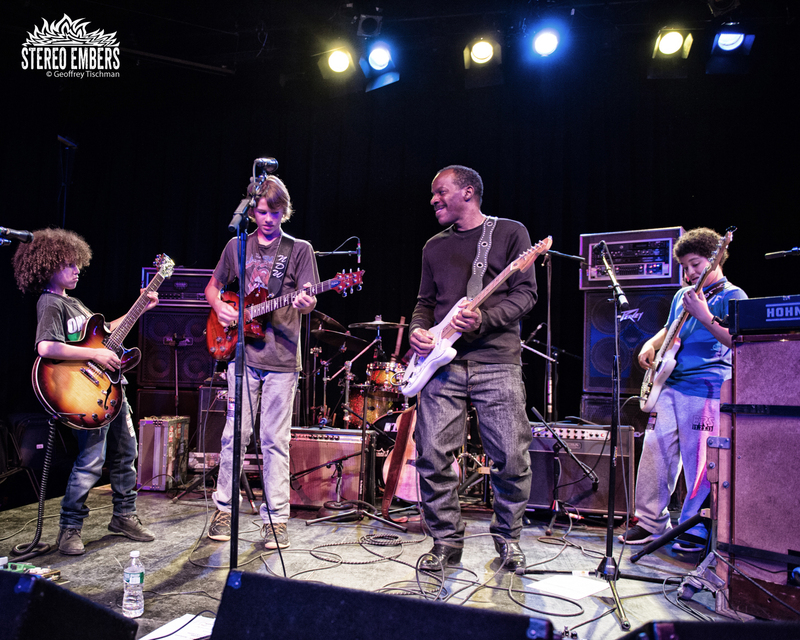 Lions On The Moon played a dazzling set the other night in New York. 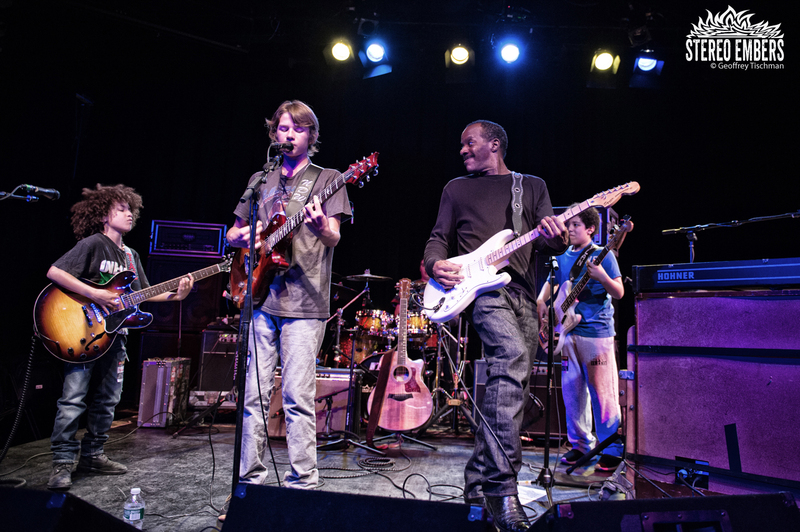 The NY/CT-based foursome are comprised of Nicky Dylan Winegardner (lead vocals, guitar) Brandon Niederauer (lead guitar, vocals) Dylan Niederauer (bass,vocals), and Henry Thomas (drums). 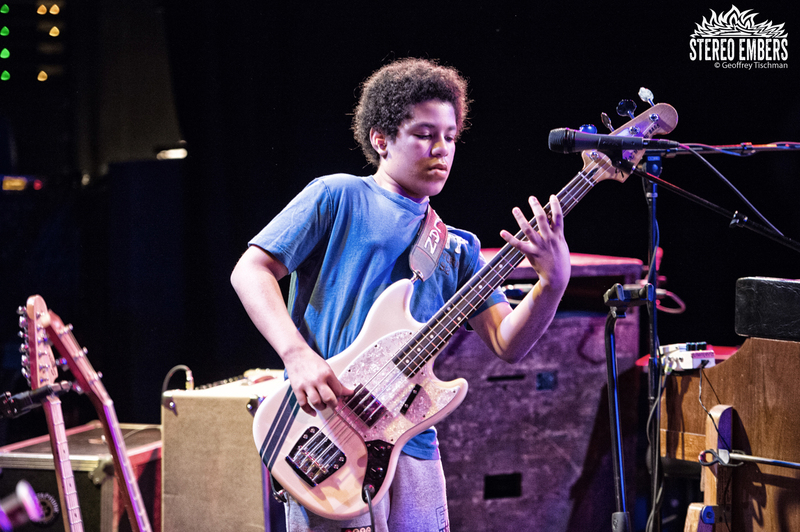 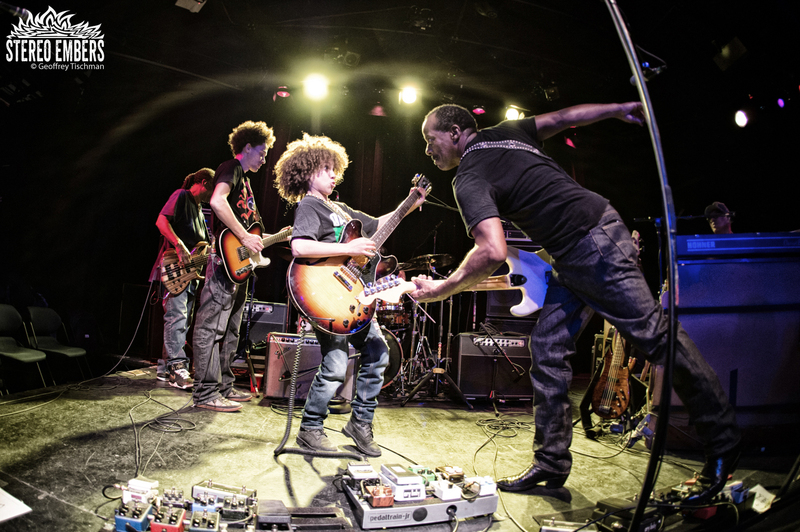 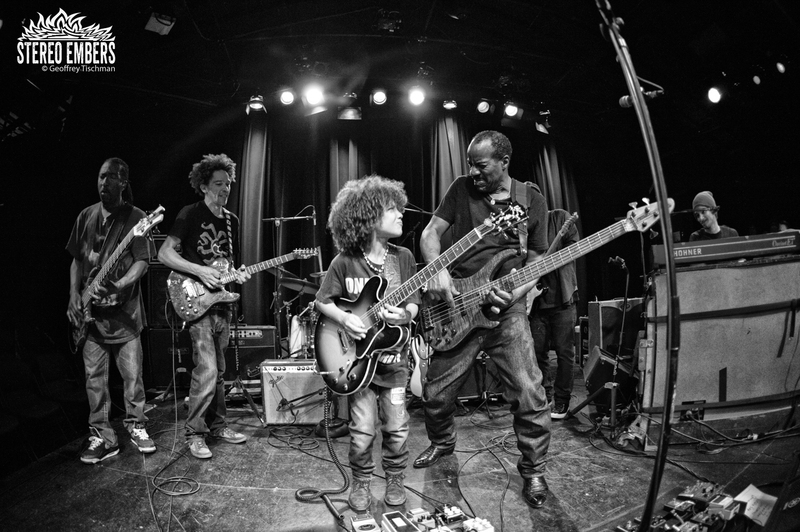 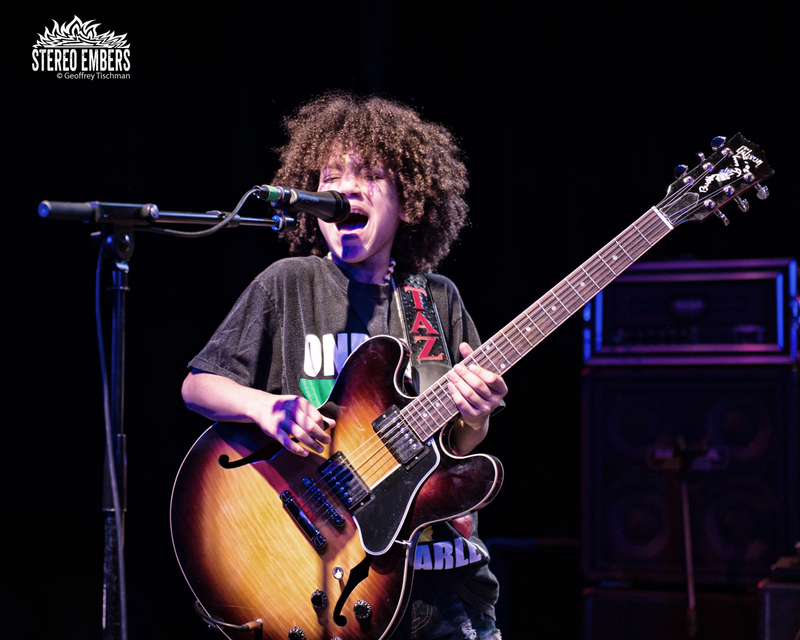 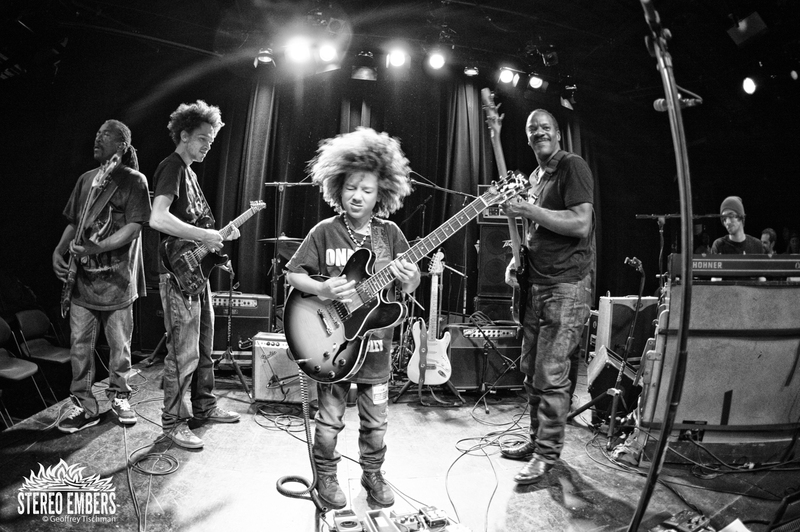 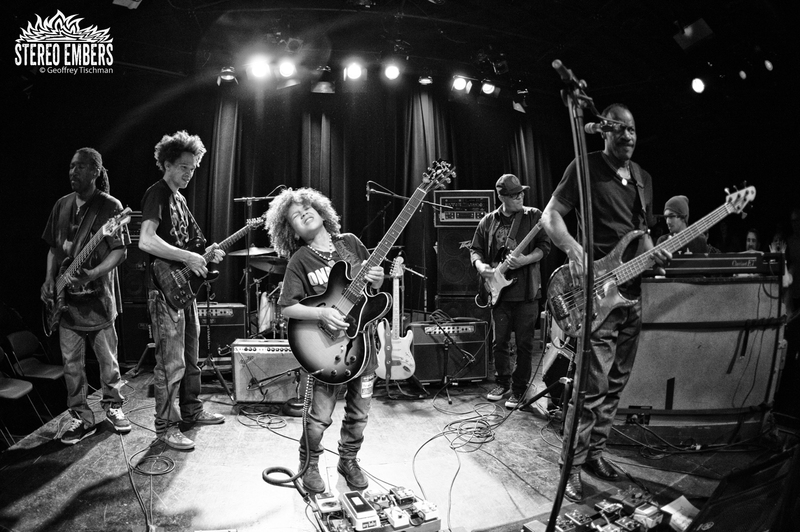 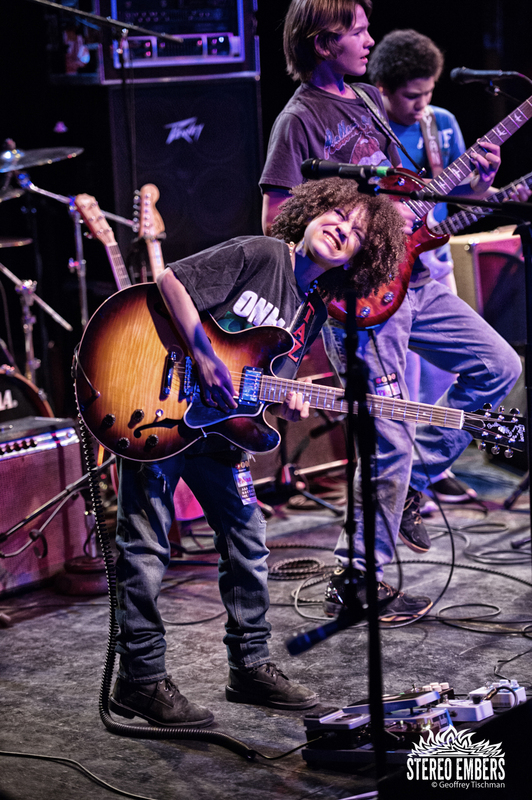 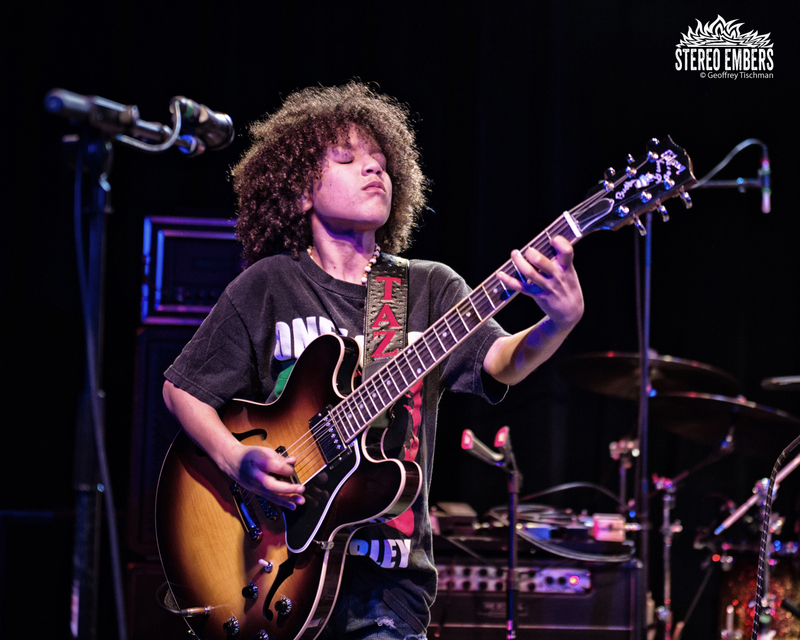 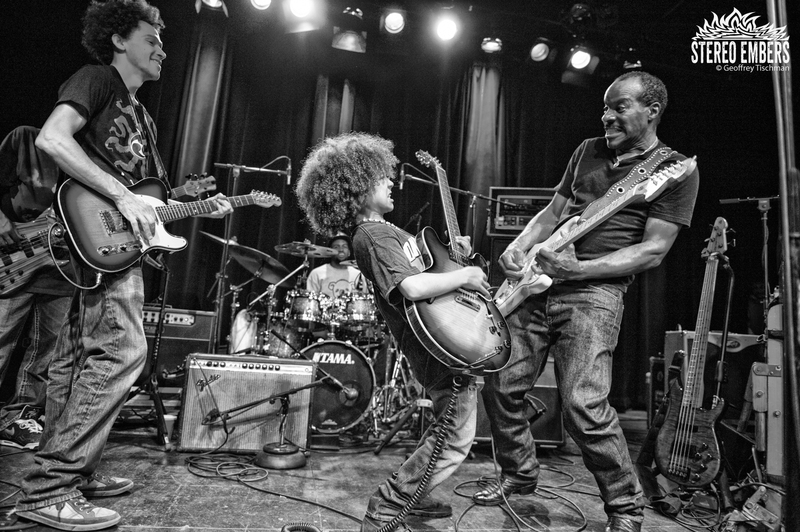 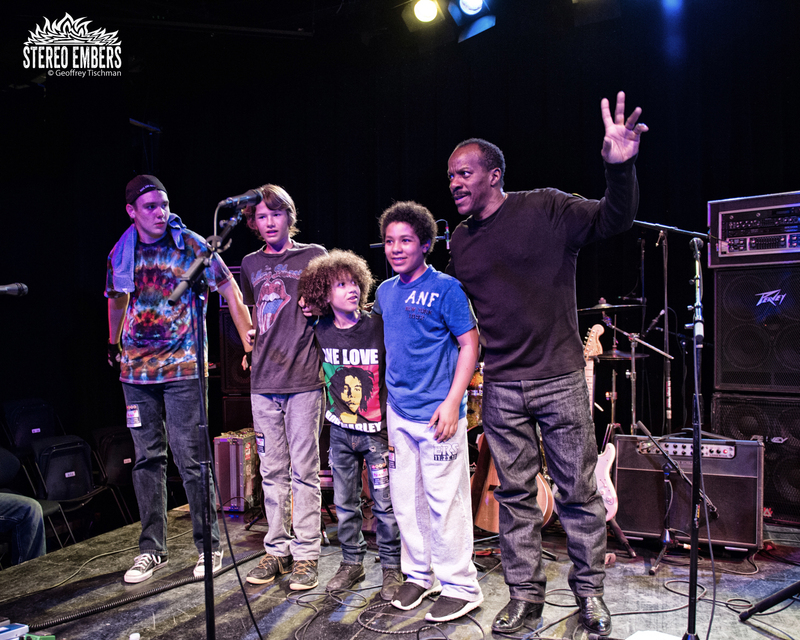 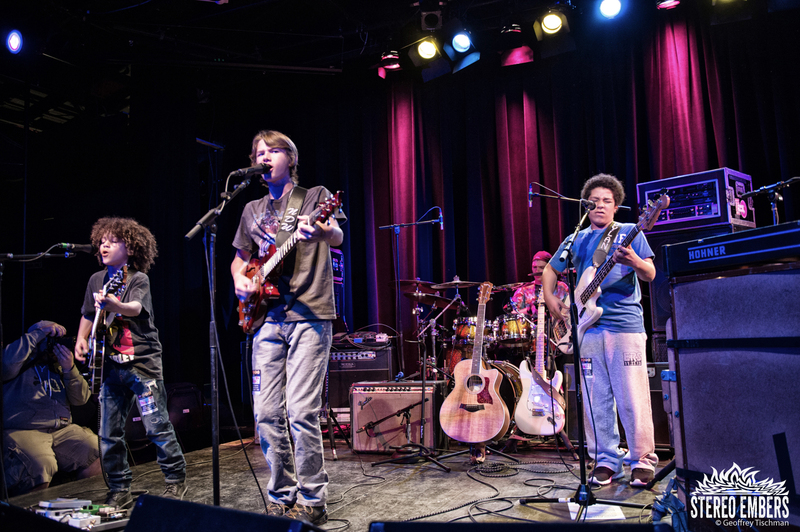 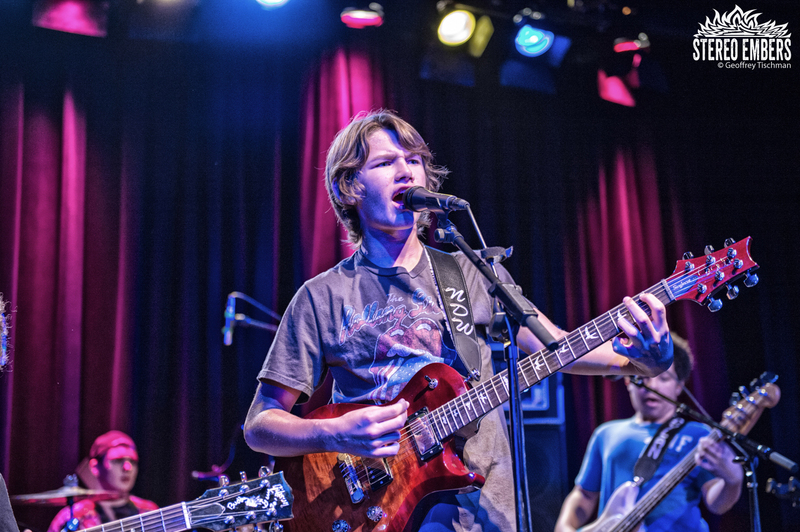 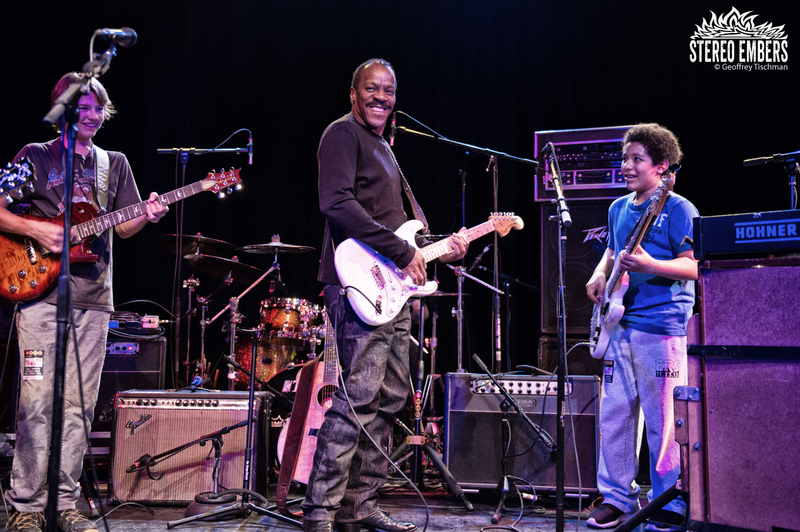 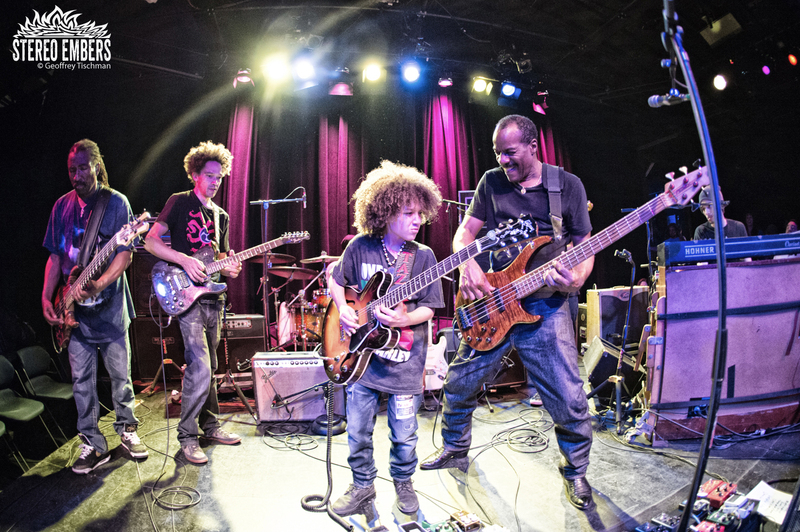 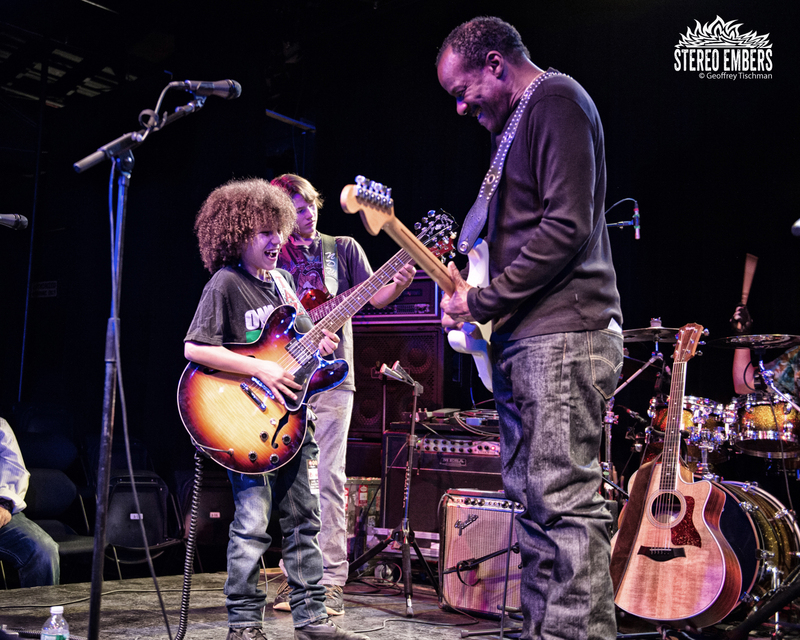 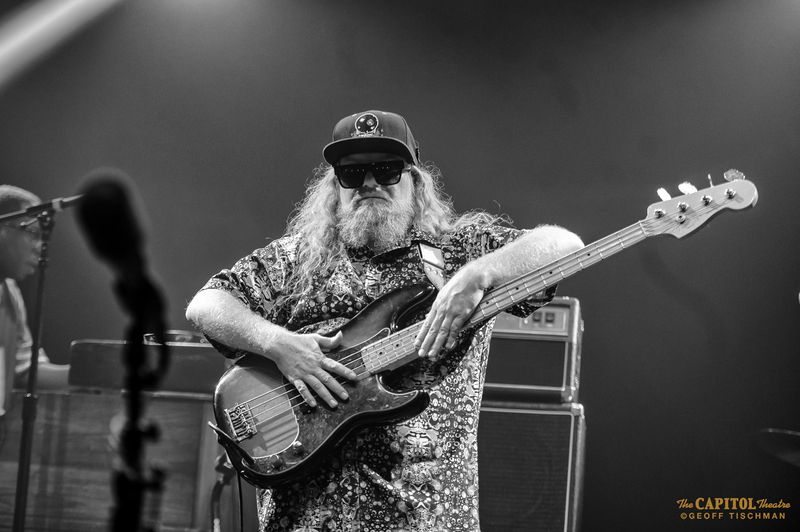 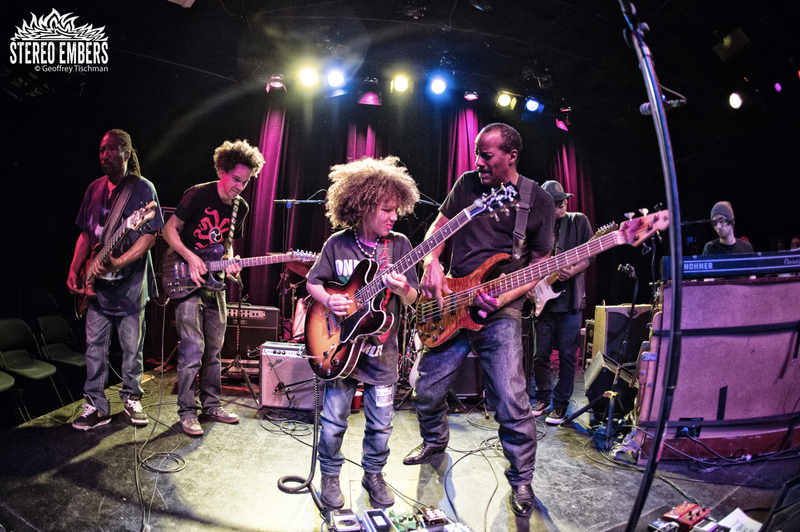 Although they’re all under fifteen, the band plays a tight, intuitive blend of funk, blues and rock and roll that makes them sound like seasoned veterans. 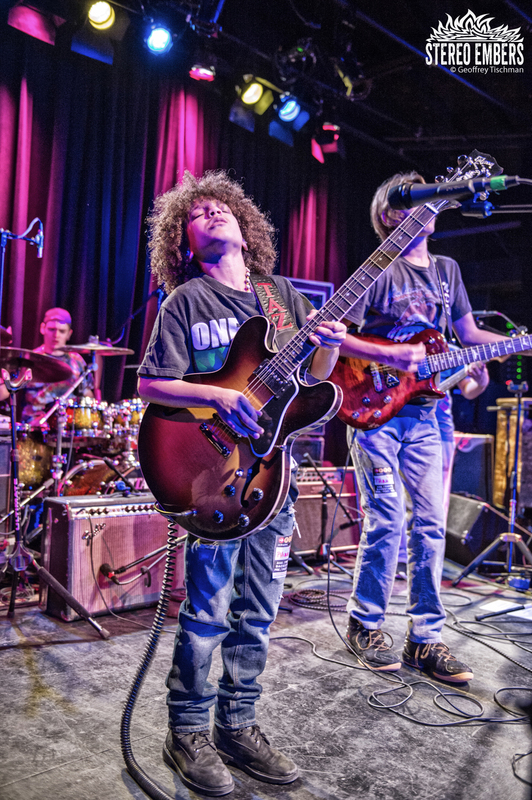 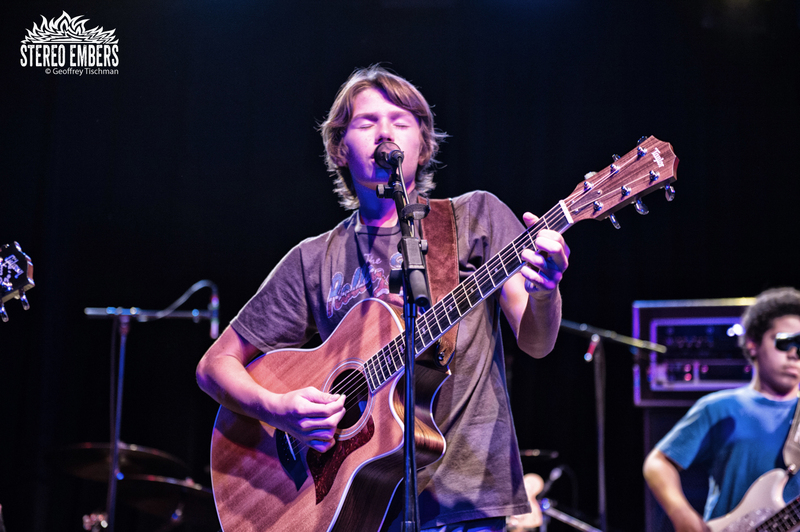 Guitarist Brandon “Taz” Niederauer is a colossal talent, a prodigy whose otherworldly onstage calm and finesse belie his terrestrial age. 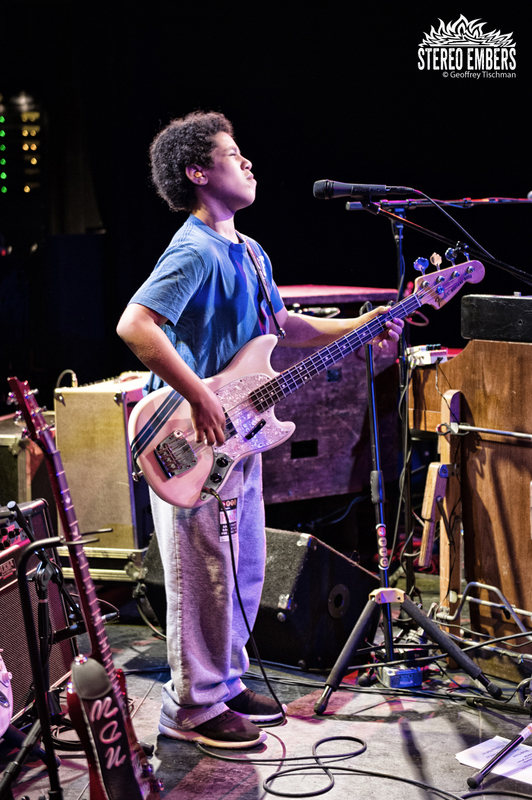 The kid has power, musical smarts and tons of grace. 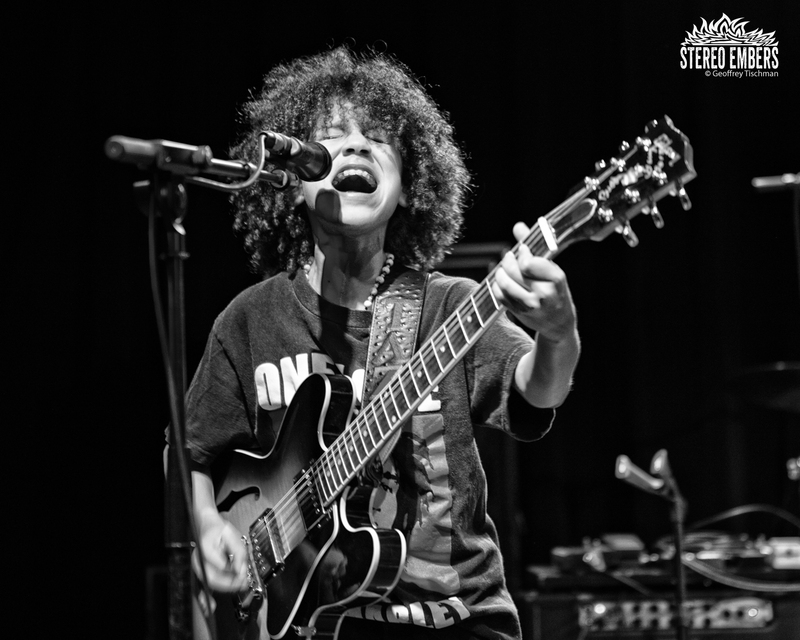 He’s going to be a huge superstar–watching him was like watching a young Mozart. 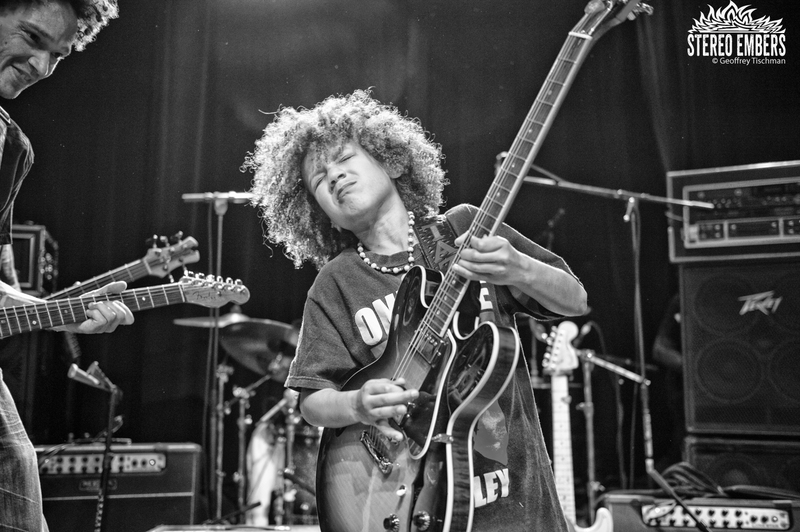 Or Hendrix. 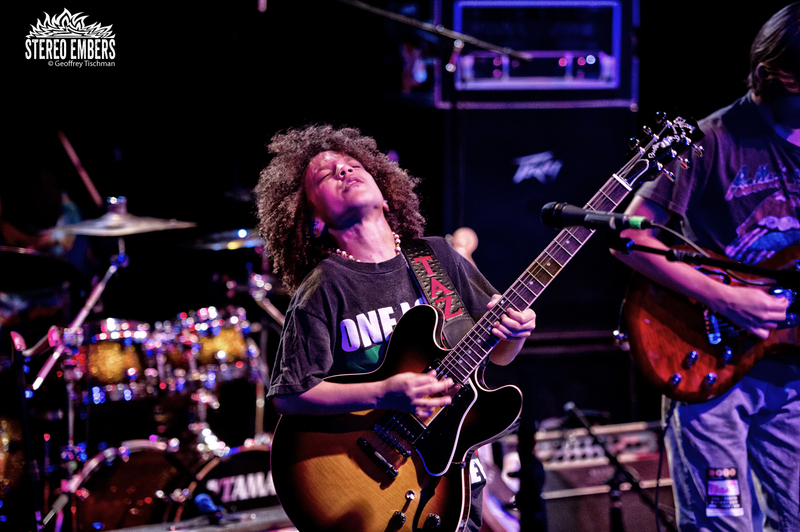 Or Marley. 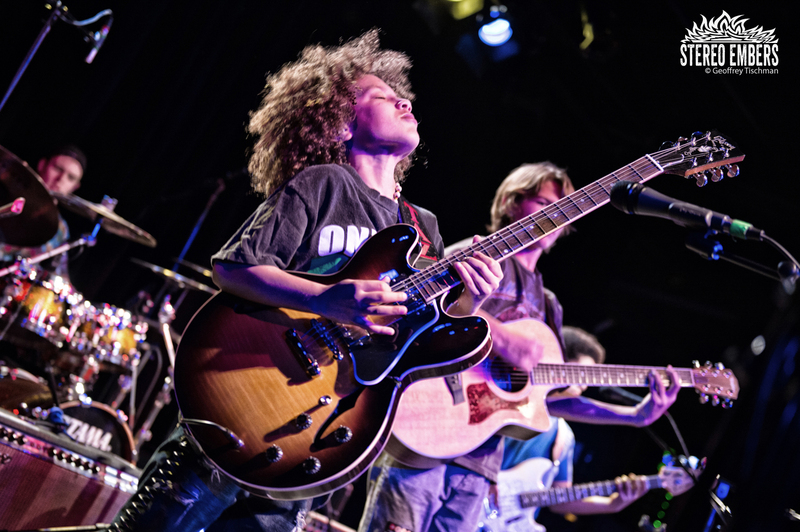 Lions On The Moon were not only a perfect reminder that music is meant to be joyful and electric, no matter how old you are, they were a reminder that maybe we’re putting too much emphasis on Little League when we should be enrolling our kids in the School of Rock. 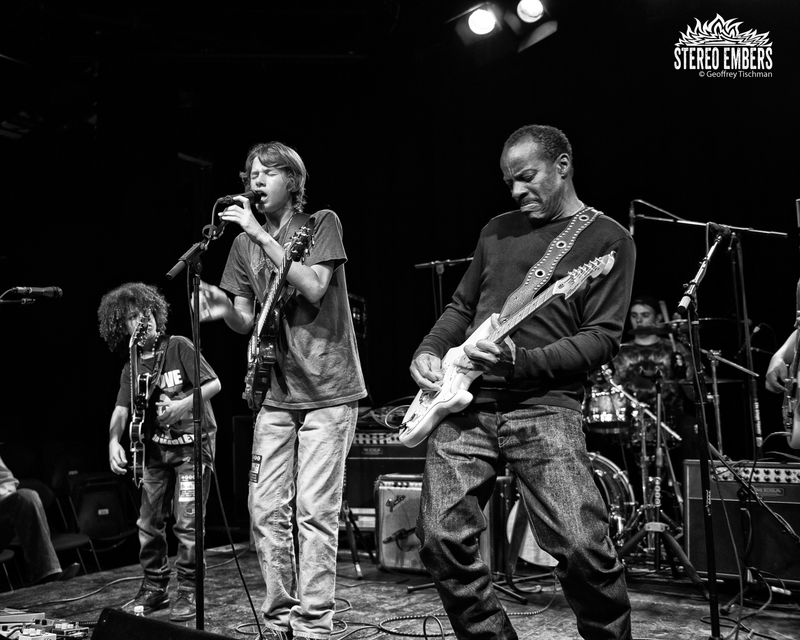 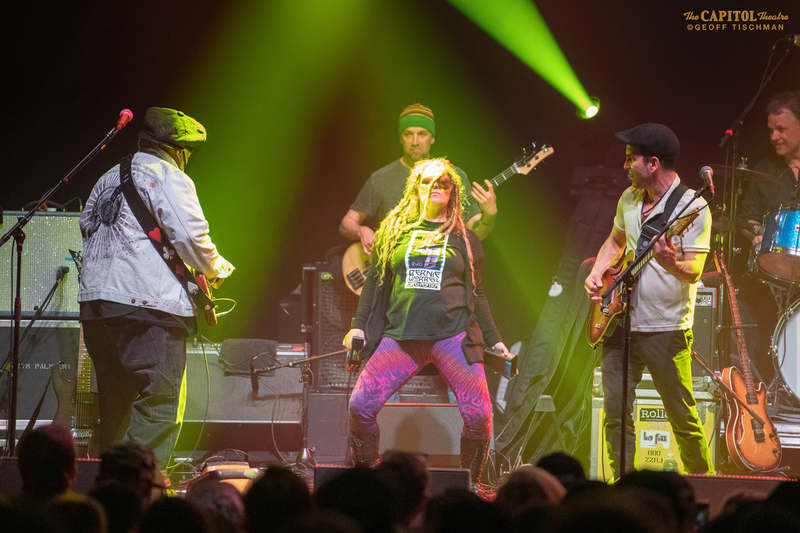 Here are some shots of Lions On The Moon on their own, and jamming with headliners Dumpstaphunk.